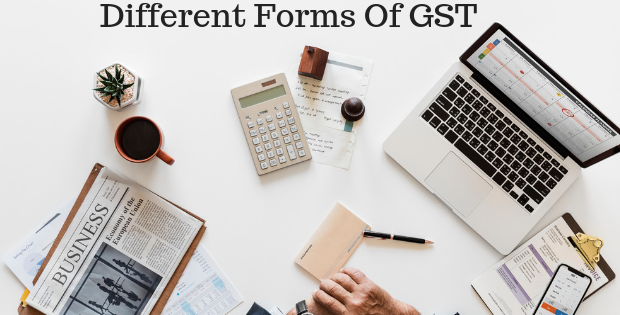 CGST, IGST, UTGST and the bill to compensate the states are the names of the different types of the GST taxes grouped under the sole name as GST Tax. The different types of taxes have eradicated and formed as the GST. The multiple taxes that were used earlier are a central excise tax, service tax, and state VAT tax etc. Let me see the process of collecting tax with certain illusions which makes the point clear. In India, the business falls under different categories like the organized business, unorganized business, and it is the role of the government to have an effective structure which collects the tax properly. Let us see in detail about the usage of these taxes in different scenarios. The taxes collected are grouped and it is named with one single term as GST. The taxes are collected for the intrastate supply and interstate supply of goods and services. The intrastate supply is inside the state supply. Here the CGST and SGST both the taxes are applied to the businessman. CGST comes under the central government whereas SGST comes under the state government. Interstate supply is imposed where the production and supply are in two different states. As the double charging system is eradicated and GST is imposed there are chances to save more money. The tax burden when doing interstate business is reduced with the implementation of the GST. The single tax with clear explanation makes the business people do the interstate business. The competition among the states in the prices and the cost of living is balanced with the usage of the GST tax. The filling process, the claiming of return process and the tax payment are of ease now because of the GST. GST leads to empowering more employment opportunities. It is the cause of the increased business and increased opportunities in the multiple industries. As business opportunities increases and production increases the ultimate effect is that the GDP rate of the economy increases. GST reduces tax evasion as it is the single tax with clear explanations of the concepts. As a result of the single tax system, the logistics cost will become more competitive and the competition in the market will increase. As a result of GST the manufacturers, dealers and service providers are benefited with high business opportunities. There are almost 25 types of taxes in India which makes the process of collecting taxes difficult and provides loopholes for the tax evasion. Thus, the single tax system is the best system which yields the high benefits and makes our country to prosper in multiple businesses.